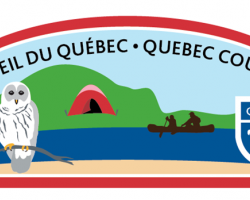 -Quebec Council will have a new Council crest coming out soon! This will be replacing the old license-plate style crest. -October 25th is the TSR Halloween Camp – come join us! -On November 22nd, Scouts Canada members can attend a game with the Ottawa Senators in Ottawa. Click here for more information and to access the registration form. Act fast, as space is limited! -Quebec Council will be considering membership fee incentives in the near future. Do you have any ideas, or does your group offer any interesting value to registration fees? Let your Area Commissioner or Area Youth Commissioner know about it, or contact Chris at cvonroretz@scouts.ca. -The Quebec Council AGM and Holiday Supper will be taking place on Wednesday, November 26th.